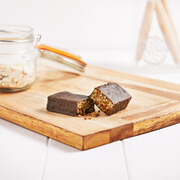 A fruity, crunchy diet bar smothered in sticky jam and creamy yogurt, this Deliciously Different bar is the perfect on-the-go choice for keeping your calories in check while indulging any sweet cravings. This box contains 50 Strawberry Jam and Yogurt Crunch bars. 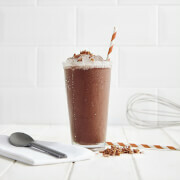 Exante Diet is the UK’s number 1 meal-replacement diet. Exante Diet offers the largest online range of high-quality, affordable meal-replacement products which includes soups, shakes, bars and meals. Use our meal-replacement products as part of our flexible and easy-to-follow diet plans for quick weight-loss, or in conjunction with healthy everyday foods for weight management. How to use Deliciously Different Strawberry Jam and Yogurt Crunch Bar? 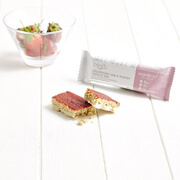 The Deliciously Different Strawberry Jam and Yogurt Crunch Bar can be used as part of an Exante Diet plan for quick weight loss or as a meal replacement to complement a calorie-controlled diet. All Exante Diet soups, shakes, bars and meals are enriched with over 22 vitamins and minerals and are high in protein and fibre. Eating three Exante Diet products a day will provide you with 100% of your EU Recommended Intake (RI) for vitamins and minerals. Who is Exante Diet suitable For? Exante Diet is incredibly flexible. Either choose an Exante Diet plan and follow as instructed, or use our products to complement your lifestyle and weight-management goals. Our products are not suitable for pregnant or breastfeeding women or children under the age of 18. Always seek medical advice before embarking on any weight-loss programme to determine you are medically eligible if you are on medication. soy crisps (soy protein), tapioca starch, salt), strawberry fruit paste 16,7% (fructose-glucose syrup, apple purée concentrate, strawberry purée concentrate, glucose syrup, plum purée concentrate, pear juice concentrate, humectant (glycerol), sugar, starch, palm fat, acidity regulator (malic acid), colouring agent (carmine), emulsifier (sunflower lecithin)), soy granules, yoghurt coating 10% (sugar, cocoa butter, skimmed yoghurt powder (contains Milk), lactose (Milk), emulsifier (soy lecithin), flavours, acidulant (citric acid)), bulking agent (polydextrose), glucose syrup, soy protein, oligofructose, sugar, minerals (dipotassium phosphate, tricalcium phosphate, potassium chloride, magnesium oxide, ferric(III)diphosphate, zinc oxide, copper(II)gluconate, sodium fluoride, manganese sulphate, chromium(III)chloride, sodium selenite, sodium molybdate, potassiumiodide), hydrolysed wheat gluten, sunflower oil, acidulant (citric acid), salt, emulsifier (soy lecithin), flavours, vitamins (vitamin C (ascorbic acid), nicotinamide, vitamin E (tocopheryl acetate), calcium pantothenate, vitamin B2 (riboflavin), vitamin B6 (pyridoxine hydrochloride), vitamin B1 (thiamin hydrochloride), vitamin A (retinylacetate), folic acid, vitamin K, biotin, vitamin D (cholecalciferol), vitamin B12 (cyanocobalamine)). Very good product and pleasant tasting. So stick at it and you will easily loose a stone a month. So far I've lost 3 stone and I'm never hungry. Pity I didnt know about this years ago, but better late than never.